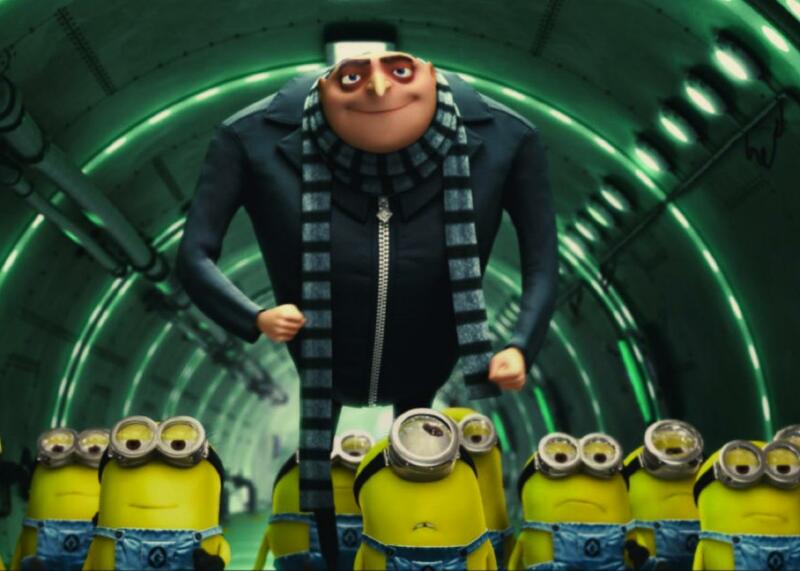 Despicable Me is now the highest-grossing animated film franchise ever. Gru and the Minions are now at the top of the animated film world. Despicable Me 3 took in $21.2 million internationally at the box office this past weekend which, according to Deadline, puts the four-film franchise— including 2015’s Minions is included—at a total global earnings of $3.52 billion, surpassing the Shrek franchise, which amassed a mere $3.51 billion over five films. The Despicable Me franchise began in 2010 and has since been a hit for Universal, sparking two sequels as well as a prequel, Minions, which is the second highest-grossing animated film of all-time. Despicable Me 3 has made almost $880 million since its June 30 release date and currently stands as the third highest-grossing film of the year and the 11th highest-grossing animated film of all-time. The movie’s predecessors, Despicable Me and Despicable Me 2, are ranked the 35th and 6th highest-grossing animated features of all-time, respectively. As for the franchise’s future, Universal has a Minions sequel slated for a summer 2020 release. The Dreamworks Animation’s Shrek franchise began in 2001 and its last film, Puss in Boots, was released in 2011. Last month, Screen Rant reported that Universal is planning to release a fifth Shrek film 2019. There’s no way to know whether the fifth Shrek film will help the franchise reclaim its crown, but all we can definitively say is that, because of Despicable Me 3’s weekend, the Shrek franchise’s time at the top is, at least for now, ogre.